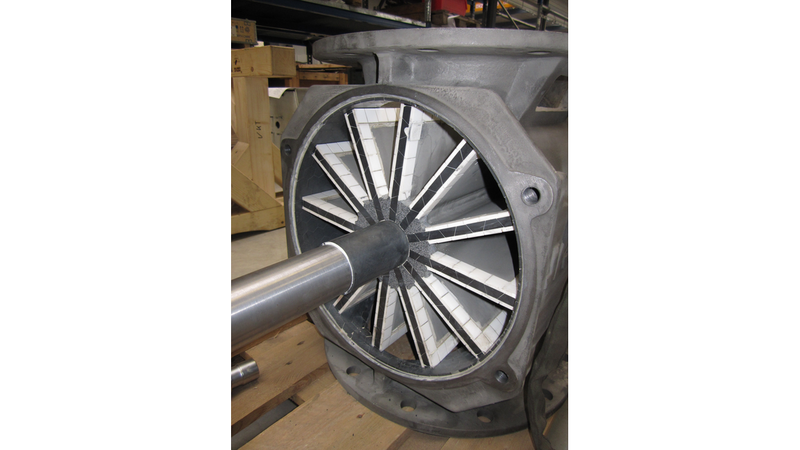 VKT technology for ROTARY VALVES consists of integrated wear protection INFINITE SHIELD. The wetted surface is completely protected against wear. The ROTARY VALVE may also be coated with INFINITE SHIELD or welded on hard. Housing and rotary star are grinded with precision to measure and thus ensure a very good air seal and long life. - VKT coats new housings and rotors and executes general overhauls of worn rotary valves.